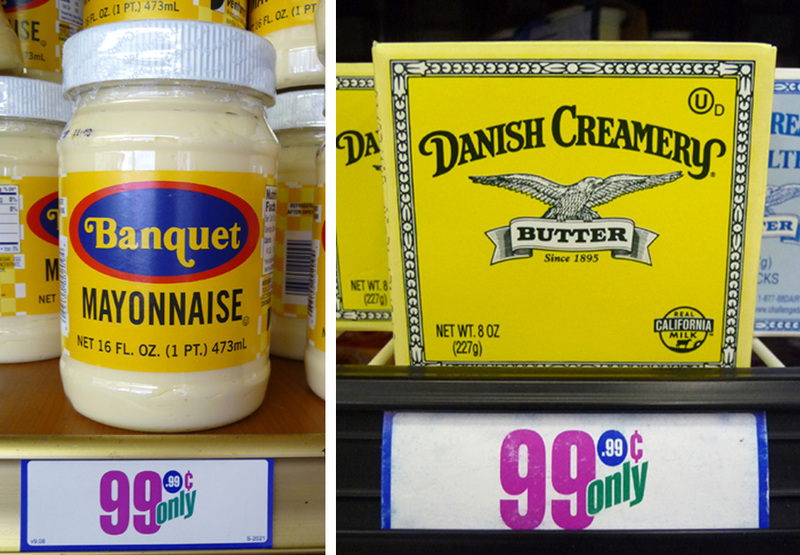 Ground anything is cheap, and if it's out there, The 99 Cent Chef will make a delicious meal of it! 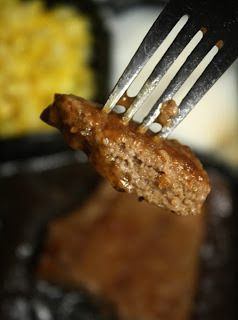 Last week I reviewed a frozen Salisbury Steak Meal by Swanson. 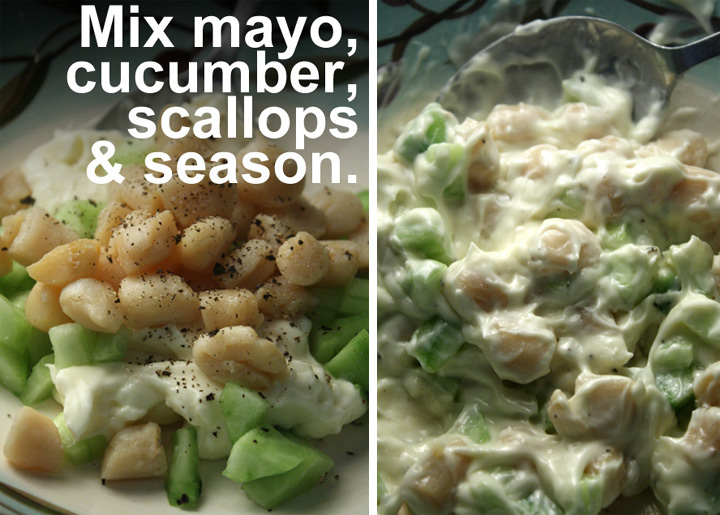 This week, I show you how to make this dish at home - in a lighter, healthier version. 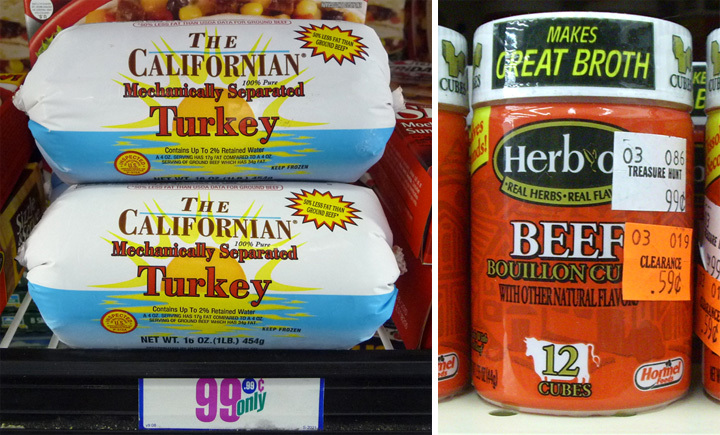 One of favorite beef substitutes s is ground turkey. It is so much lighter and lower in fat --after eating an entree made with it, I don't feel like an anvil is resting in my gut. Ground turkey tastes mild, so you can get creative by adding flavors. 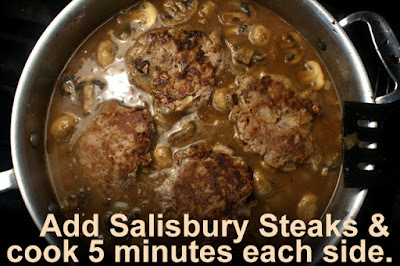 I mix in beef bouillon and Worchestershire sauce for a scrumptious Salisbury Steak. 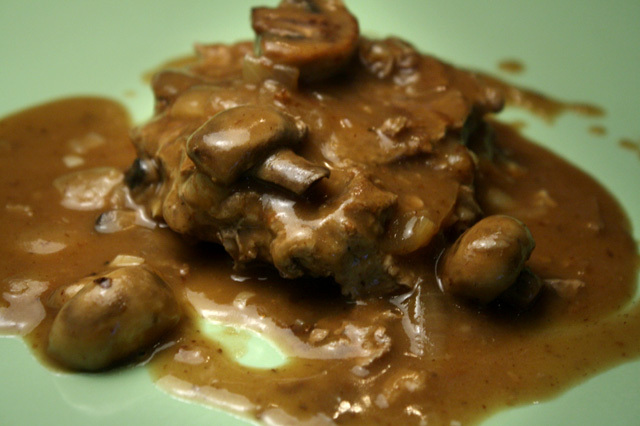 I also show you a flavorful Mushroom Gravy recipe to top it off with. I cook with frozen "mechanically separated" ground turkey because it sells for about a dollar per pound. 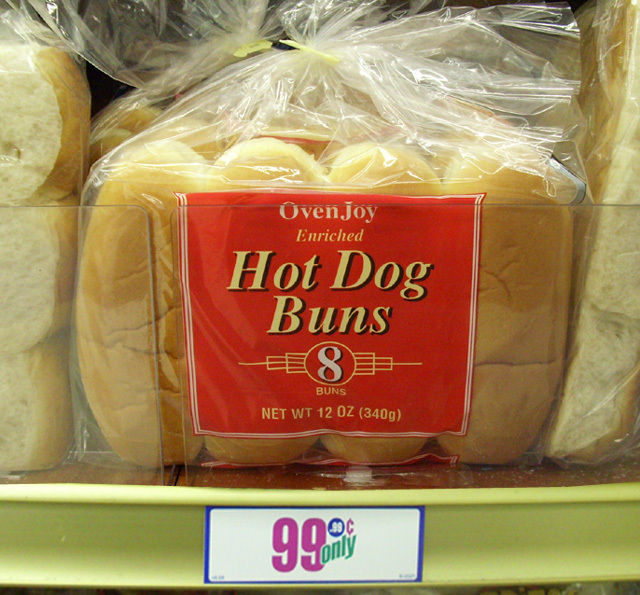 The flavor is fine, but the texture is the weak link. It comes ground too fine, so forming a burger is not easy like it is with fresh ground turkey, chicken or beef. My work-around is to use a big spoon and ladle it onto the frying pan. It still fries up firm like a regular hamburger. 1 lb ground turkey or chicken - thawed. 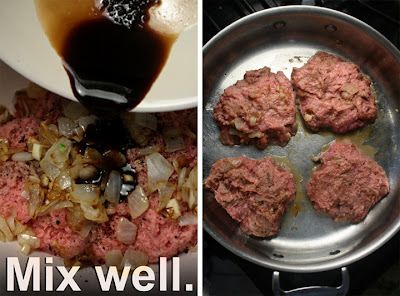 Okay to use more expensive ground beef. 1 beef bouillon cube - or a 1/4 cup of beef stock. Pepper to taste - a bouillon cube has plenty of salt. In a large bowl, add ground turkey, draining off any liquid. Pour in Worchestershire sauce/beef bouillon mix. 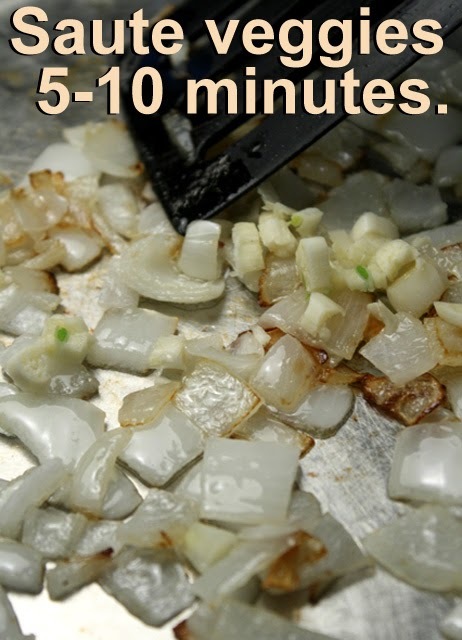 Add cooked onion and garlic, mixing well. Add oil to a large saute pan over a medium heat. Chub turkey is quite mushy, so with a large spoon I just scoop out enough to form a hamburger sized patty. I got four burgers out of a one pound package. 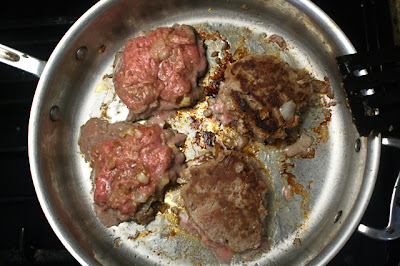 Over medium heat, saute burgers on one side about 7 - 10 minutes, or until the sweating juices are dark brown around each patty. That is the time to turn it. You can peek underneath to make sure. 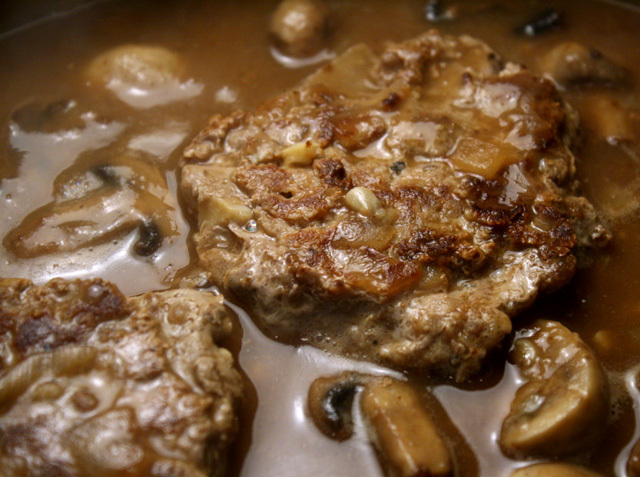 Since you will be finishing the cooking in a Mushroom Gravy, you only need to cook the other side for a minute to finish firming up the patties. Remove the turkey patties and set aside. Next you will make the Mushroom Gravy using the caramelized flavors on the bottom of the saute pan, so don't clean it out! 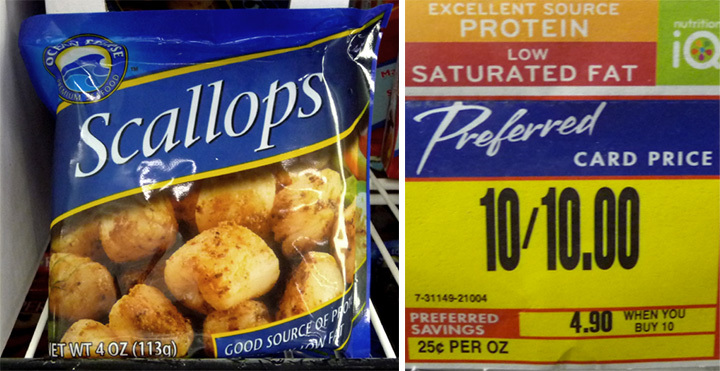 1 package of mushrooms - any type. 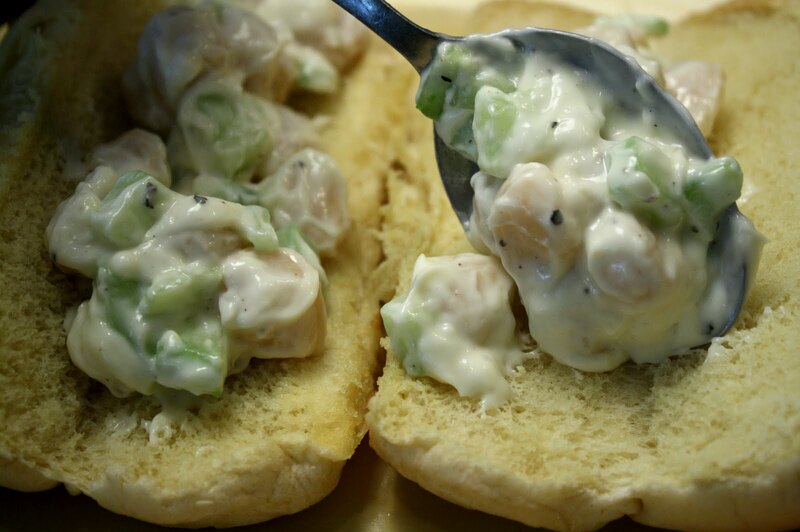 I used button mushrooms and chopped them in half. 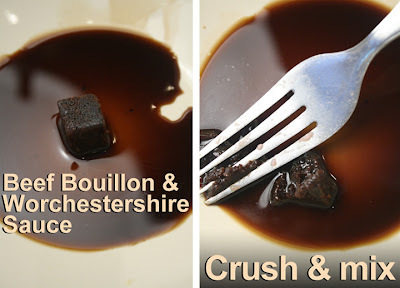 1 beef bouillon cube - okay to substitute with beef stock, about 2 cups. Pepper to taste - bouillon cubes have enough salt for my taste. Add oil to the saute pan you fried turkey patties in. Over a medium heat add chopped onions, garlic and chopped mushrooms. 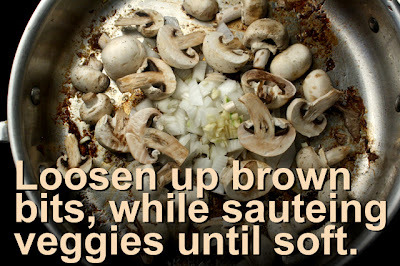 Saute for about 5 - 10 minutes until onion and mushrooms are soft. As you saute scrape the bottom of the pan to loosen the tasty caramelized brown bits. *Add 2 tablespoons of flour to the saute pan and mix it into the cooked veggies. Allow a couple of minutes to heat up. I like to cook the flour to take out its raw taste. 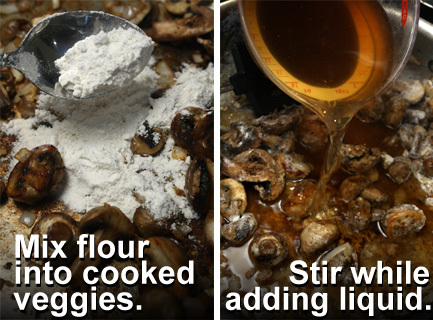 Finally add water to sauteed veggies and flour. Stir water in pan as you add it, so flour mixes well to prevent lumps. 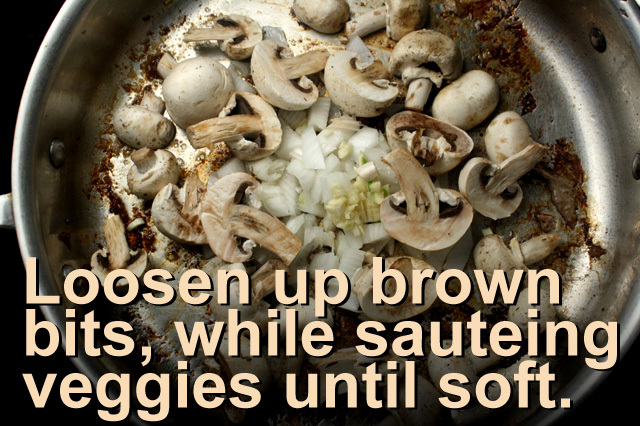 *If you are worried about lumpy gravy, skip the "sauteing flour" part. Just add flour to the water and mix with a spoon. Then add the white flour liquid to the sauteing veggies. Once flour and water is incorporated, turn up heat and continue stirring and until gravy starts to simmer, then reduce heat. Gravy should thicken in about 5 minutes. Now add the turkey patties. Cook patties about 5 minutes each side. 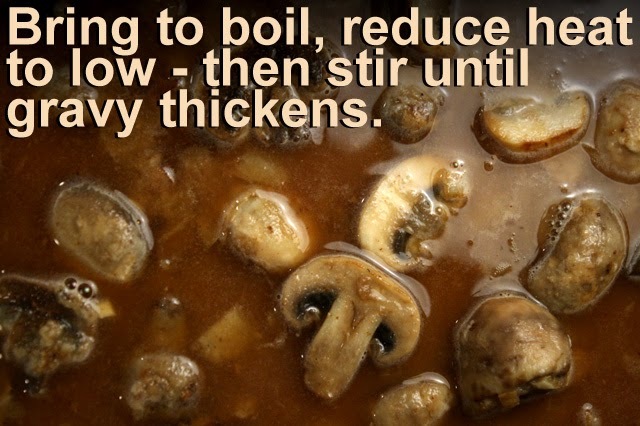 Turn once so gravy coats both sides. 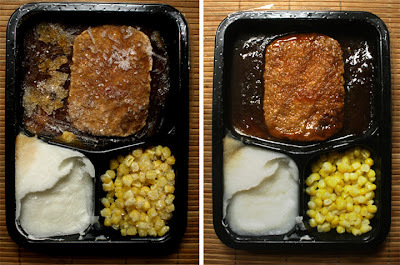 Serve with the charred side up and with your favorite sides, like instant mashed potatoes and frozen or canned corn -- to make your own frozen TV style dinner! This is my go-to-work lunch. I know, it's sad. But it's not every day, maybe once during the work week. The job I'm at generously stocks a refrigerator full of lunchtime sandwich meat and salad fixings for its part time employees -- so being a tightwad, I rarely even shell out a buck for Banquet's Salisbury Steak Meal, one of my favorite cheapie lunches. I have been missing this guiltiest of pleasures. 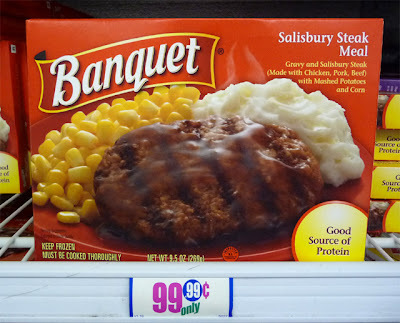 One of the first frozen TV dinners I ever had was a Salisbury Steak Meal by Banquet. There is nothing like peeling back the aluminum cover (this was before microwaving), trying to hurriedly blow off the heat from an oven incinerated entree, and burning your tongue on the first bite. 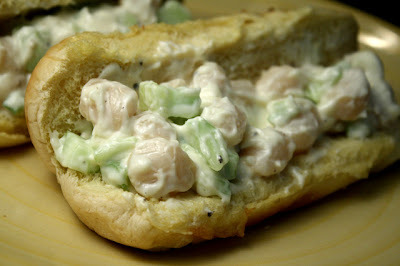 Sometimes one must suffer to reach culinary nirvana. When you're a kid, the top of the food chain are TV dinners and instant Mac and Cheese from a Kraft box! First off, in this Deal of the Day, the gravy has a deeply satisfying beef flavor. For a prefab entree the ground patty is tasty. It's on the thin side, but fine for a light lunch. And I always prefer reheated frozen corn to canned. If I microwaved this at home I would add a pat of butter (or substitute) on the corn and mashed potatoes. 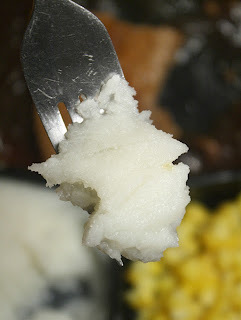 The mashed potatoes are the weak link - there is no texture, just reconstituted powder with the consistency of whipped cream that has collapsed. I like my mashed potatoes with a few small lumps, so I know what I am eating. 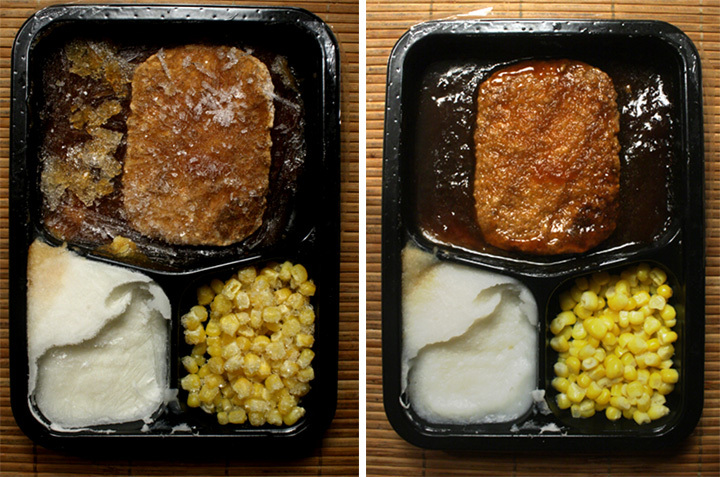 With a half century of making frozen meals, you'd think Banquet would make some improvements here, but I guess it's really just a vehicle to soak up the delicious gravy. This Deal of the Day costs around a dollar in any frozen section of your local grocery. So on a scale of 1 to 9, 9 being best, I give Banquet's Salisbury Steak Meal a 6 ! I have to take off a couple of points for the subpar mashed potatoes. A bowlful of organic whipped cream provides the laughs in the latest Lola's First Bite video. A baby birthday party is always fun, especially when the center of attention gets her mitts elbow-deep in a bowlful of squishy dairy creaminess. 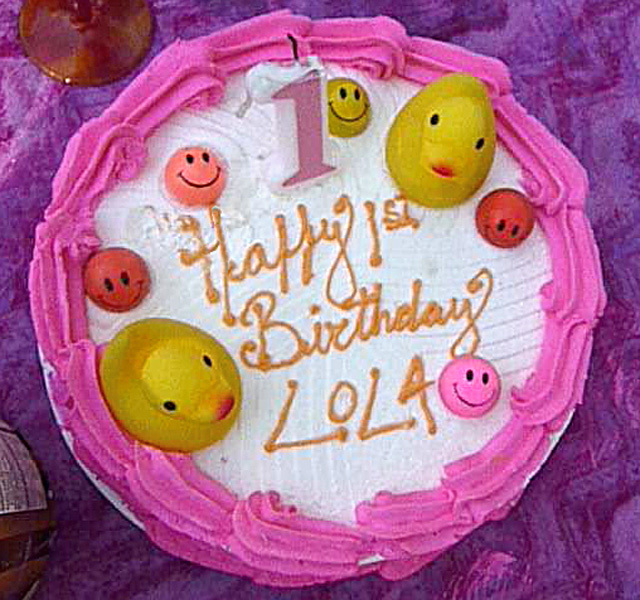 The 99 Cent Chef was there to record Lola's 1st birthday garden party late last month. Unlike the last Lola's First Bite 2.0 (click here), where she had a hard time gnawing carrots, asparagus and a banana -- this time it's easy street all the way! Lola plowed through a bowl of whipped cream in no time. Who needs a spoon when your fingers can scoop it up so much more efficiently. It was a gorgeous sunny Sunday afternoon with friends and family, under shade trees, with a fun soundtrack of Monkees hits playing in the background. 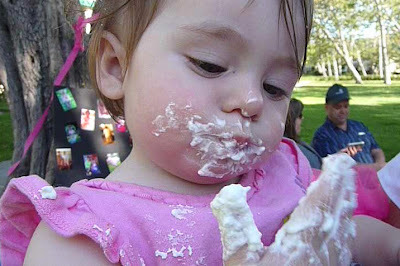 The birthday girl did not partake of her birthday cake - no processed sugar for this babe yet. So the Chintzy Chef was forced to take her share! So pull up your computer chair and check out a Lolapalooza Gigglefest! Play it here. The video runs 1 minutes, 52 seconds. Lola's First Bite 1.0, here. Come cruising with the culinary cheapskate for a high-end Happy Hour of Wagu and Foi Gras Gyozas for $8 at Nobu in Beverly Hills, then all the way to East L.A. for a 50 cent charred meaty Carne Asada Taco at Zamora Meat Market and Restaurant. 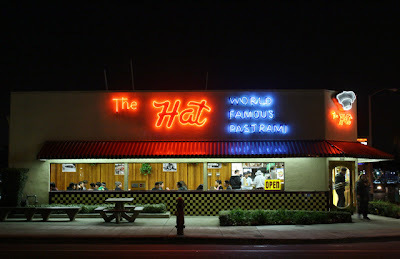 Fasten your seat belts -- here comes the latest chapter in Restaurant Nocturnes, the unique video excursion into the night-time world of Los Angeles dining, shot and compiled by The 99 Cent Chef. 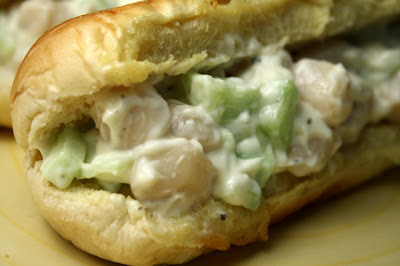 Want to check out the latest restaurant from Two Dudes Jon Shook and Vinny Dotolo of Animal? I've got it here, with video of their nautical-themed seafood restaurant Son of a Gun, seemingly designed under the influence of bong water, plus an audio rundown of menu highlights. 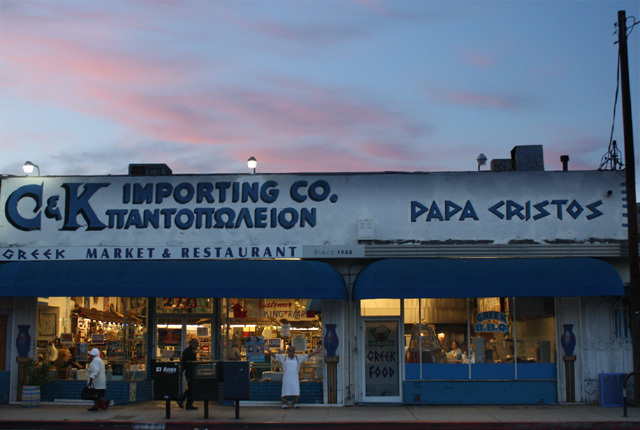 Next, listen in as A Frame's greeters give you the lowdown on that eatery's Redondo Beach Pier-inspired cuisine, which was created by Kogi Taco Truck mogul and Jame Beard Award winner Roy Choi. 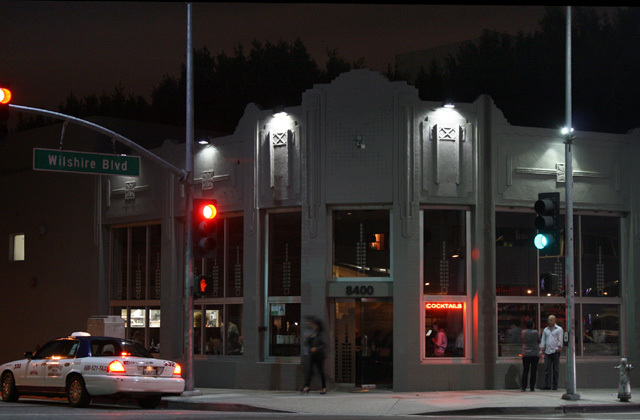 If you're looking for socially responsible dining, head to Sawtelle Boulevard for Japanese-style Shabu-Shabu from Mizu 212 degrees. Listen in as the waitress describes the ingredients that go into a flavorful hot pot of broth, including organic veggies sourced from the Santa Monica Farmers Market, and slices of farm-raised beef, pork and lamb with no chemicals, hormones or antibiotics. 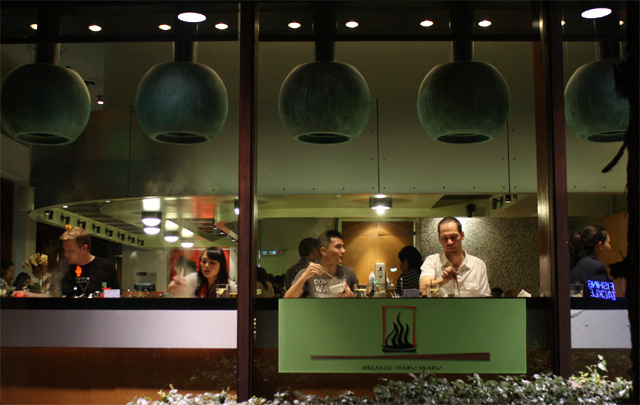 You'll see steam and chop sticks flying as diners swish around the healthy ingredients. Hungry for an old school Pastrami Sandwich? Check this head-turning, neon-drenched, shot of The Hat in Alhambra. Or dine at The 101 Coffee Shop in Hollywood, where key scenes of the 1940's-influenced movie Swingers were filmed. 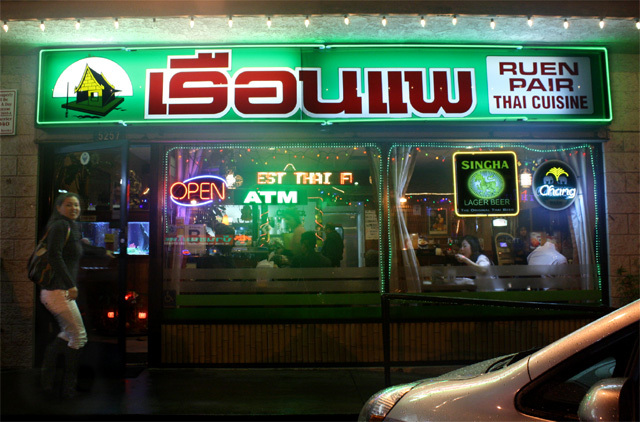 And if you're looking for a cheap bite that has the L.A. Weekly's Pulitzer Prize-winning food writer Jonathan Gold's seal of approval , check out Ruen Pair, wedged into a strip mall on east Hollywood Boulevard -- it's one of his 2 a.m. stops for Thai cuisine. Or, if you are bored with L.A Times restaurant critic S. Irene Virbilia's same old, same old reviews of high-end Beverly Hills and Westside dining, then you must patronize Red Medicine on Wilshire Boulevard and give chef/owner Jordon Kahn a high five for escorting her out, but not before snapping her photo and splashing it online. Anonymity is so 20th century. I guess Chef Jordan could only take so many fork-in-the-back reviews of fellow fryers before he was compelled to yank the white table cloth away. 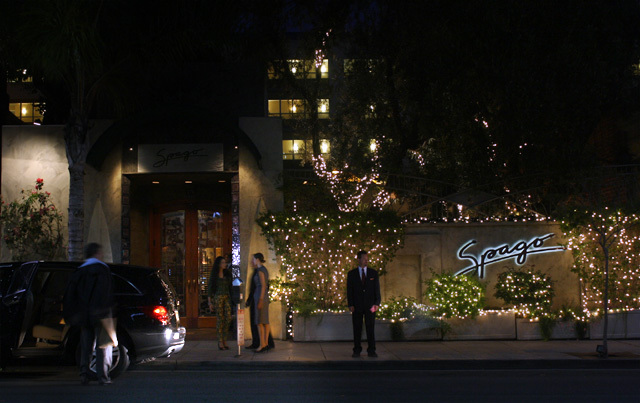 Hey, I empathize with Virbilia -- while shooting this series, I've been refused service by restaurant owners; given the third degree by Maitre d's, and shooed away by Beverly Hill cops called by the manager of Wolfgang Puck's Spago. You need a hide like beef jerky to operate in the restaurant business! So check out my latest video tour of Los Angeles dining, where I go from cutting edge Vietnamese fusion to classic Korean BBQ -- from Papa Christo's Greek Lamb Sandwich on Pico Boulevard, and ending up with a boozy review of hip Beechwood in Marina Del Rey, whose kitchen is run by Top Chef contender, punkette Jamie Lauren. 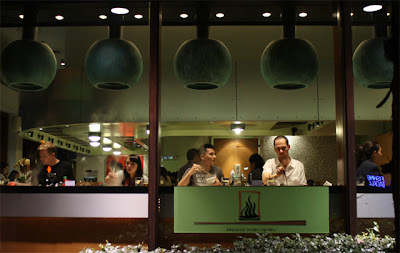 In all, my Restaurant Nocturnes VI combines art and commerce. You'll see what each place looks like during the magical evening dining hours, and hear an audio description of some stand-out entrees. 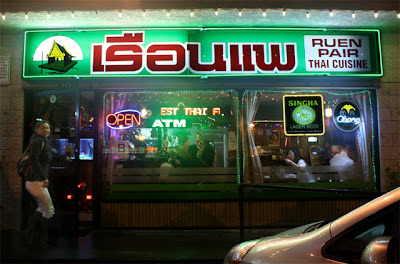 At the end of the post, I provide clickable links to the websites of each of the 18 featured restaurants - plus my original Twitpic photos, with their thumbnail restaurant descriptions. Play it here. The video runs 4 minutes, 21 seconds. Restaurant Nocturnes I, Restaurant Nocturnes II, Restaurant Nocturnes III, Restaurant Nocturnes IV, Restaurant Nocturnes V.
Cauliflower tastes like a mix of cabbage and broccoli to this cheap epicurean. Steamed is fine, but I prefer my cauliflower oven roasted. It brings out a caramelized sweetness, and by drizzling on some olive oil and adding dried parmesan, kicks it into a scrumptious flavor profile. 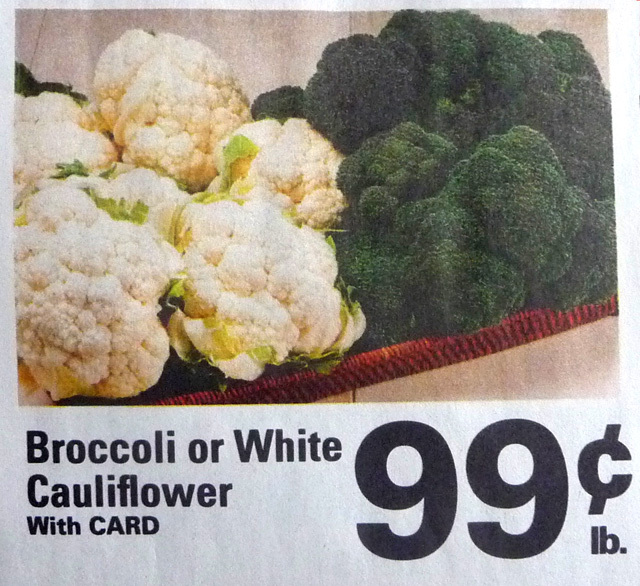 And cauliflower is a cheaply nutritious veggie I don't cook enough with. My local market always has it on sale. The dried parmesan I use probably has been on the shelf for a decade, but roasting it helps bring back the sharp cheesy flavor. Of course, you can use a fresher expensive name brand. I like to cook the cauliflower with leaves and stems - no point in wasting anything, it's all good! Roasting veggies helps to retain their natural crunch. I bet that once you try my Roasted Cauliflower with Parmesan recipe, it will become a favorite you will frequently serve. 1 head of cauliflower - break off or chop florets. 2 to 3 tablespoons of dried parmesan - okay to use fresh shaved. Black pepper to taste - dried parmesan has plenty of salt to my taste. Preheat oven to 375 degrees. 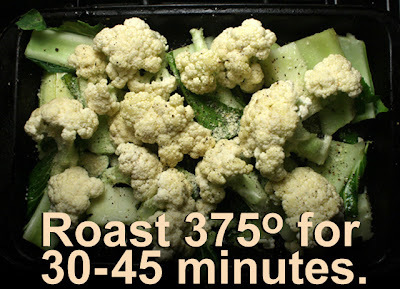 I roast the whole head of cauliflower including stem and leaves. Remove stem and leaves from cauliflower. Trim off brown or dried ends of stem and leaves. Slice stem into one inch pieces. 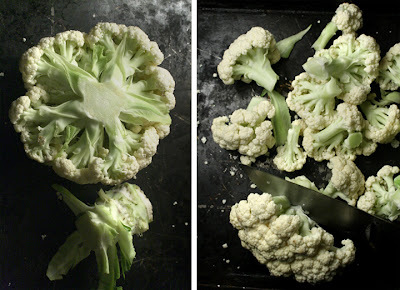 Turn over cauliflower with stem side up and break, or slice off cauliflower florets. Usually the last floret is a big one, so just slice it into edible size pieces. 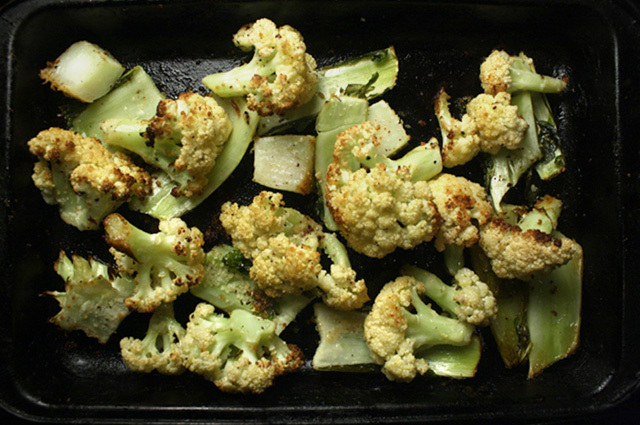 Arrange stem pieces, leaves and cauliflower florets in a baking pan or dish. Drizzle with olive oil, turning florets to coat well. 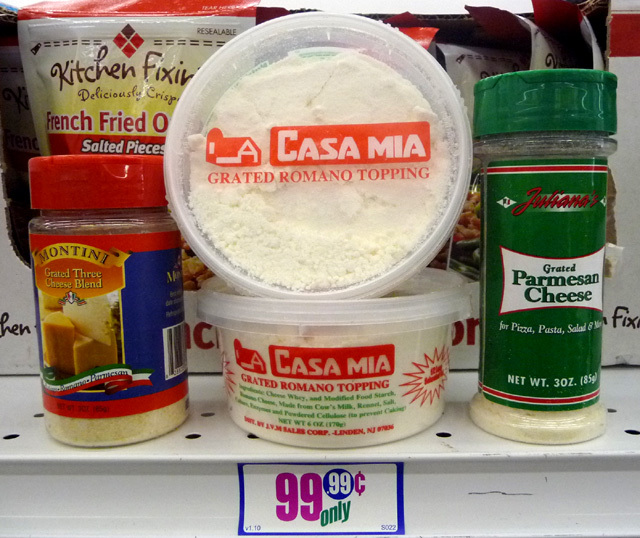 Sprinkle on dried parmesan. Finish with black pepper to taste. 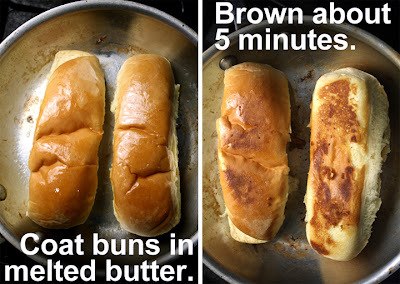 Bake uncovered for 30 - 45 minutes, to desired tenderness*. 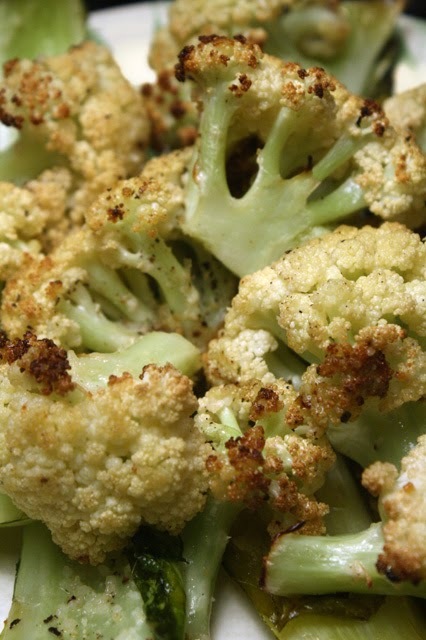 Turn cauliflower florets a couple of times during baking to evenly brown. 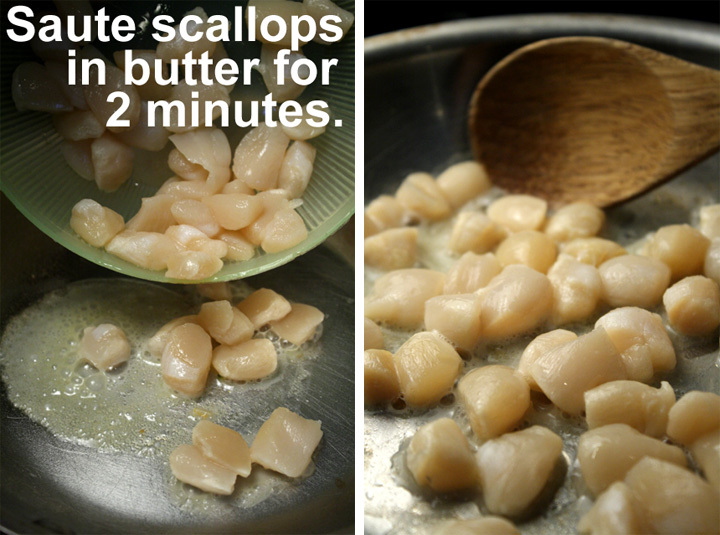 Cauliflower stems will pierce easily with a knife or fork when done. *Sometimes I cover the cauliflower for half the time so it steams even softer, just uncover for the final 20 minutes or so, to get some of the brown caramelization.